As the leading organization for professional real estate appraisers, the Appraisal Institute represents over 18,000 professionals in nearly 50 countries. The Southern New Jersey Chapter has over 150 members. 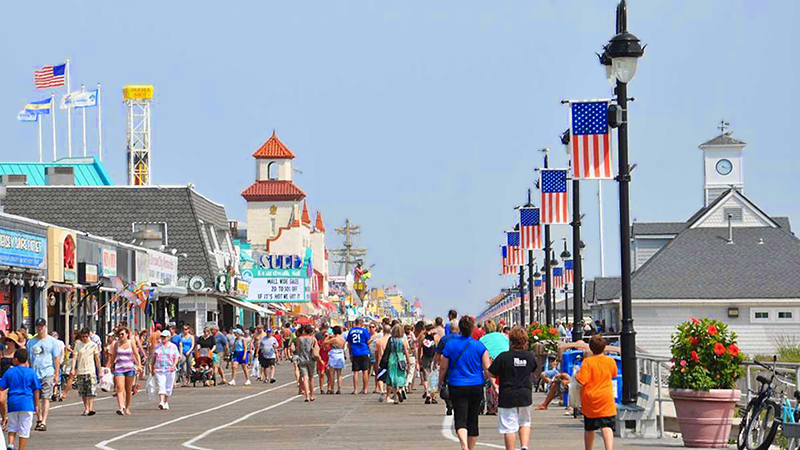 We are the home to appraising professionals in the following counties: Burlington, Camden, Gloucester, Salem, Atlantic, Cumberland, Cape May, Monmouth, Mercer and Ocean. Our members perform a variety of services ranging from single family valuation to feasibility studies for regional malls and hotel-casinos. Whether it’s assistance on a home purchase or providing expert testimony for litigation, Appraisal Institute members are uniquely qualified to meet these needs. NJ Appraiser Law, Regulations N.J.S.A. 45:14F-1, et seq. Real Estate Appraisers Act This course is required by NJ regulations every two years. Students will learn about the law itself, the regulations that pertain to the law including specific areas noted in the regulation. Provide general information about the law and regulations Provide some information about national licensing Understand how NJ State Appraisal Board works. Explore misunderstood areas of Laws and Regulations Discuss commonly found errors and issues (appraisals) Provide references sources and information for licensees. This program is intended to review, inform & assist appraisers who practice in the state of Pennsylvania about the Real Estate Appraisers Certification Act, Chapter 26 of the Rules & Regulations, Act 48 Penalties Imposed Against Appraisers and Recently Completed Disciplinary Actions. NOTE: This is 1 of 4 courses being offered on June 10th & 11th. This program will focus on developing and communicating credible and supportable evaluation appraisal services. The program will focus on minimum requirements outlined in the Interagency Appraisal and Evaluation Guidelines. This is the core document that practitioners must adhere to when providing this appraisal service. This program will expand specifics within that document to a related publication, the Uniform Standards of Professional Appraisal Practice. The program will span the entire process from what is an evaluation, guidelines for requesting an evaluation, who can prepare evaluations, to the development and reporting requirements outlined in the Guidelines. The program will assist practitioners on how the appraiser can provide an evaluation and comply with the current edition of USPAP. Appraiser compliance with all relevant guidelines and standards is primary to providing credible assignment results. Overview of the program that will define an evaluation appraisal service, its purpose, and when a client may request this appraisal service. Inform the audience that the basis of an evaluation service rests in the Interagency Appraisal and Evaluation Guidelines that were issued on December 2, 2010. This is the core document that appraisers need to follow when completing evaluations. The discussion will extend to aspects of Uniform Standards of Professional Appraisal Practice (USPAP). Discuss the parameters that clients are to follow when requesting an evaluation. These parameters span real property assignments for residential and non-residential lender-client value related questions. The Interagency Appraisal and Evaluation Guidelines expound upon who can prepare evaluations and the responsibility of both the appraiser and the client. Clarity of the appraiser’s role is essential for the appraisal community to fulfill and meet the needs of lenders in performing evaluations. Overview of the development requirements outlined in the Interagency Appraisal and Evaluation Guidelines. These requirements span both the lender and the appraiser. This section will address the specific areas within the development requirements outlined in the Guidelines. The areas pertinent to appraisers include: possibility of a property inspection (actual or third party source); effective date of value; base line property description; and valuation methods. The Guidelines require support for adjustments among which overtly cited are economic and market conditions. What is meant by market support will be addressed. The Guidelines also stress avoiding using any unsupported assumptions. Overview of the reporting requirements outlined in the Interagency Appraisal and Evaluation Guidelines. These requirements are specific to the appraiser. Address the specific areas within the reporting requirements outlined in the Guidelines. These areas include many areas which are also addressed in the minimum requirements outlined in USPAP for all appraisals. They include property inspection, location, description, actual physical condition, use and zoning, methods and techniques, analysis, and sources of information and supplemental information. Reference and stress that a Restricted Appraisal Report as presented in USPAP is not appropriate for communicating an evaluation. The format may be modified to meet the minimum requirements outlined in the Guidelines. Define what is meant by a competitive sale and introduce the ten elements of comparison in any comparison analysis. Summarize the five (5) transactional and five (5) property specific elements of comparison, the order of presentation and which is done sequentially and/or cumulatively in the analysis. Exchange of ideas about how to develop adjustments will be encouraged as well as discussion of pier tested and industry expected techniques. Examples of these adjustments are presented. Discuss the other transactional adjustment elements of: (1) condition of sale; (2) expenditure upon acquisition, and (3) market conditions. Review core concepts and provide examples if such adjustments are necessary. Present the rationale for the property specific adjustments and that these adjustments may be done cumulatively. Examine the use and presentation of physical characteristic subsets. Review strengths and weaknesses of quantitative and qualitative analyses. Introduce the concept of weighting a sale and which sale or sales should be given primary emphasis in a final correlation of the data. Discuss and review the various components within a pro-forma operating statement. Overview of the concept of a pro-forma and the capitalization process. Emphasize the need for market support for each component of a pro-forma by identifying a property’s strengths and weaknesses to command rent, address vacancy and expenses, and capitalizing net income. Succinctly connect the rationale for a property’s strengths and weaknesses to direct capitalization, development of an overall rate or multiplier or range of these elements. Emphasize the need to reconcile throughout the development of the Income Capitalization Approach. This program will assist the attendees in gaining a better understanding of the strengths and weaknesses of the real estate, either man-made or naturally occurring. Valuation nuances will be addressed, especially when the Subject and/or the competitive sales involve limited utility features. USPAP establishes minimum requirements for an appraisal and the practitioner’s need for competency will be stressed. The program will offer insight into recognizing, understanding, and evaluating physical characteristics and legal controls that impact many assignments. It will be stressed that a practitioner should seek to exceed the minimum requirements thereby better serving their clients and intended users. Recognizing the measurement utility which ultimately impacts value. Recognizing that appraisals are not simply to justify a deal on the table. The practitioner must possess and is responsible for evaluating his/her own competency. Identify and summarize different types of limited utility features that may be encountered. Stress that market evidence is required to support opinions and conclusions. Suggest techniques to evaluate the critical issues noted in a property. Discuss the differences between excess and surplus land. Recognize the need for a well documented and supported highest and best use. Briefly discuss how critical issues are addressed in all three approaches to value. Stress the need for reconciliation throughout the appraisal. To be credible, an appraisal should be well documented using applicable market data relevant to the client’s appraisal question. Data needs to be factual. The skill to identify critical features rests with the appraiser and education and experience are core underpinnings of competency. Today, there are various software programs available to assist the appraiser but they do not replace the need for well thought out analysis. The depth of support often lie in the extent of the critical issue within the property being valued. Every appraisal may be challenging and it’s the appraiser’s responsibility to be ready for the challenge. Critical features impact the real estate’s use and appeal in the market to varying degrees. It is the valuers task to identify such features and evaluate how, if at all, they impact value. This program will challenge both new as well as seasoned practitioners. It will be a guide to a meaningful understanding of features that impact real property rights and value. Concepts discussed will be consistent with the intent of Uniform Standards of Professional Appraisal Practice and Interagency Appraisal and Evaluation Guidelines. This educational program will assist the certified, licensed, and registered appraiser to gain a better understanding of how the typical buyer develops a price to be paid. A rudimentary understanding of appraisal theory is expected. The topics and general discussion within this program will facilitate attendees in gaining a better understanding of when and how critical features impact use of real estate and ultimately the prices paid. A better understanding should lead to reasonable and credible opinions. A better understanding benefits both the practitioner and their clients while strengthening the industry and protecting the general public. Educational awareness is enhanced by an active presentation format which involves attendee participation and the use of straight forward examples. A safe environment will be fostered to encourage questions, test accepted procedures and find alternatives when needed. Prices paid reflect all component parts. The task: identify and quantify contributory values within the whole. Detention ponds are man made while creeks and tributaries are natural occurrences. What is a 404 Permit and who issues them? Using it to help define the physical real estate. Understanding the concept of utility and how it is related to value. The program focuses on developing a sound market analysis that supports the highest and best use conclusion. It is accomplished by an inferred demand market study that is used when valuing commonly traded properties in a stable market where sales and rentals occur routinely. This program is relevant for both residential and general appraisers. All appraisers are expected to gather, research and analyze market information using peer tested and industry approved methods and techniques. An inferred market study is applicable for many types of residential and non-residential properties in various communities throughout New Jersey. Market analysis precedes and supports the highest and best use conclusion(s) which extend into the three approaches to value and the reconciliation. This short program will help attendees prepare and communicate more effectively findings upon which analyses are based by understanding what areas should be researched, data to gather, and analysis to undertake regardless of the appraisal report’s communication format. This program will offer techniques to rate and evaluate the property’s appeal in the market. The process is capsulize in a six step process. The concept of market analysis is required in all assignments and is a Scope of Work decisions. It supports the highest and best use which is overtly required by Standard Rule 1-3. The current edition of USPAP focused on the responsibility of an appraiser to analyze property productivity factors. Checking a box is no longer adequate. This educational program will be a review for season practitioners and an introduction to appraisers how to use peer tested and industry accepted techniques and procedures. The goal is achieved using interactive discussions interspersed with examples to practice and better understand core concepts. 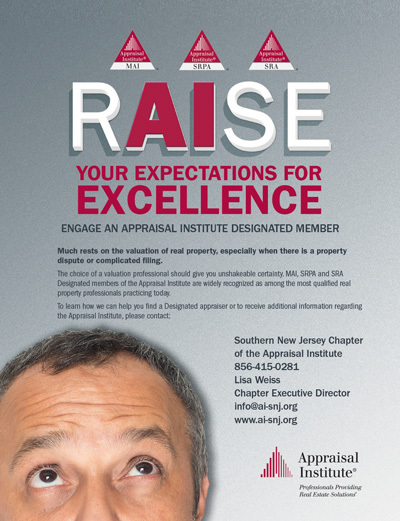 An appraiser should strive to exceed minimum standards outlined in USPAP. The program will challenge both new and seasoned practitioners. It will offer guidance in generating meaningful market analysis that support the highest and best use conclusion. The goal is to enhance the practitioner’s skill level to prepare well documented and supported appraisal services. The audience is expected to consist of new and experienced field and review appraisers as well as users of appraisal services. Attendees are expected to be familiar with USPAP and general appraisal theory. This allows key topics to be explored in greater detail. The program is flexibly designed to enhance communication styles and generate meaningful discussion about key appraisal issues which should strengthen the industry and protects the general public. Brief review of why market analysis is necessary and how it supports the highest and best use conclusion and its findings and conclusions are used in all three approaches to value and the reconciliation. Stress the requirements in the current edition of USPAP with a focus on Standard Rule 1-3(b) which requires the appraiser to analyze the relevant, legal, physical and economic factors as necessary to support the highest and best use conclusion. Review the factors that create value and the components necessary for an actual market. Discuss techniques used to measure demand and quantify supply. This program will focus on an inferred demand analysis. Define what is meant by an inferred demand study and give a brief introduction into how its findings and conclusions are used in all three approaches to value and the reconciliation. This technique relies on projections based on the historical past and current market environment. Review the six step process, a procedure that describes the Subject, evaluate its probable use and users, quantify supply and demand factors, evaluate their interaction, and conclude an opinion about subject capture. Discuss Step 1 in greater detail. Introduce an example estimating utility. Physical characteristics and legal controls are addressed and a density template is provided to organize the analysis. Concept of rating grids is introduced and an example is provided. This tool can be used to recognize accrued depreciation and super-adequacies, evaluate buyer/user preferences, and consider risk. Step 2 discusses how a market area is determined. Step 3 addresses the issue of evaluating demand. Elements of demand are identified and should be addressed in the appraisal report. Step 4 seeks to identify and evaluate current supply. Areas that comprise supply are identified and could be alternatives to the Subject. Strengths and weaknesses for both the Subject and competitive properties should be addressed in the appraisal. Step 5 brings supply and demand factors together. It seeks to identify if an over supply or imbalance exists. Step 6 brings the process together. It concludes how the Subject is perceived in its market and evaluates its potential for market capture. It will be emphasized that findings and conclusions developed in a sound market analysis are the underpinning of the highest and best use conclusion, used in all three approaches to value and the appraisal’s reconciliation. 5 minutes Question & answer period. The program focuses on developing a sound market and marketability analysis that supports highest and best use conclusions. This is accomplished by building upon an inferred demand analysis that is used for commonly traded properties in a stable market where sales and rentals occur routinely. However, this program will focus on a fundamental demand analysis that is property specific. It is used when valuing complex properties in volatile markets. The nuances of the complex properties analyzed in the income capitalization approach involve a discounted cash flow model. Appraisers operating in this arena are expected to research, gather and analyze market information using peer tested and industry approved methods and techniques. A fundamental analysis is applicable for complex, nonresidential properties found in communities throughout the country and especially in New Jersey. Marketability analysis is property specific and supports the concluded highest and best use. This program will help attendees prepare and communicate more effectively by understanding areas to research, data to gather, analysis to undertake, and presentation techniques to communicate findings. This program will show how to quantify and support a concluded property’s maximumly productive use and how its economic characteristics may vary over time which should be simulated in the DCF model. Markets change over time. This factor must be recognized and the DCF model and should not be simply a projection of the past but a forecast of the future. Techniques to rate and evaluate the property’s appeal in the market will be provided. The process is capsulized in the six step process. The concept of marketability analysis builds upon a market analysis and collectively this information and analysis is the underpinning of the highest and best use. The work necessary to generate a credible appraisal which hinges on a highest and best use is a Scope of Work decision and overtly required by Standard Rule 1-3(b). The current edition of USPAP focused on the responsibility of an appraiser to expound on the analysis. Presenting the four tests and concluding a highest and best use without further analysis is no longer adequate. This educational program will benefit both seasoned practitioners as well as new appraisers on peer tested and industry accepted techniques and procedures when undertaking a market analysis that leads to a highest and best use conclusion. The program’s goal is achieved through interactive discussions with interspersed examples to practice and better understand core concepts. Meeting USPAP’s minimum requirements as well as expectations of regular uses of this service will be stressed. The program will offer guidance in generating meaningful market and marketability analyses with the focus on complex properties in volatile markets that are often encumbered by leases of varying durations. The goal is a well documented and supported analysis. To achieve this end, attendees are expected to be familiar with USPAP and general appraisal theory with an emphasis on the different types of market studies. This will allow key topics to be explored in greater detail. The program is flexibly designed to enhance communication styles and generate meaningful and well documented appraisals. This strengthens the industry and protects the general public. A well written appraisal has many layers that are brought together by the six step process. It is critical that the appraiser understand industry approved methods, techniques and standards and provide a meaningful analysis to answer a client’s question and serve its intended users. This promotes and maintains a high level of public trust in appraisal practice. Brief review of a market analysis that is necessary and needed in all appraisals. It is the underpinning that provides support for a highest and best use conclusion. Address the difference between market studies which often employ an inferred analysis and marketability studies which build upon an inferred study but is property specific. Stress that the findings and conclusions in both studies are used in all three approaches to value and the reconciliation. Stress that in the current edition of USPAP, Standard Rule 1- 3(b) requires the appraiser to provide the analysis for a highest and best use conclusion when undertaking a market value assignment. Provide a brief introduction of techniques used to measure demand. This program builds on an inferred demand study but focuses on a fundamental demand analysis. Define what is meant by a fundamental demand analysis, where, when and why it should be undertaken. Introduction to how its findings and conclusions are used in all three approaches to value and the reconciliation. Inferred studies rely on historic and current occurrences whereas, the fundamental study adds the dimension of forecasting based on anticipated market environments. A three tiered analysis will be introduced – pessimistic, most probable and optimistic. Review the six step process that provides a rational procedure to describe and analyze the Subject, forecast demand supply factors, understand their interaction and forecast subject capture. The goal is to identify the Subject’s probable use, users and timing. Step 1 assesses the property’s physical characteristics, legal controls and locational attributes. While such elements are addressed earlier in the appraisal, it is in Step 1 that such factors are analyzed in an effort to conclude if they lead to or detract from the Subject’s appeal to probable buyers and users. This sets the stage for accrued depreciation in the Cost Approach, considered among the ten elements of comparison in the Sales Comparison Approach, and reconciling and forecasting revenue, expenses and risk in the Income Capitalization Approach. The presentation of Subject elements will be discussed and how the use of rating charts and comparison tables helps bring the information together and allows the reader/user to view the analysis and its conclusion on a integrated basis. The use of a density chart template will be introduced to organize the analysis. Examples of rating grids should be designed by the analyst. Its purpose helps emphasize accrued depreciation and super-adequacies, recognize and evaluate buyer/user preferences, and consider risk. Concepts of market standard and competitive differential will be introduced, defined and discussed. When undertaking a fundamental analysis it is essential for the analyst to understand current relationships but also anticipate future changes and how a future change may impact the Subject and its ultimate market capture. Step 2 delineates the market area and its competitive market area. In an inferred study, generalities are identified and considered. In a fundamental analysis, the generalities are built upon by recognizing the unique features of the Subject but also the stationary reality of its geographic location. Step 2 will address the importance of defining and understanding a property’s market area because location is important to buyers and users. Factors affecting market area boundaries will be presented and discussed. Understanding the market area leads to recognizing the competitive supply which competes with the Subject for buyers and users. The density chart template helps to organize the analysis. Step 3 focuses on demand. Elements of demand are identified for various property types. These are factors that should be addressed in the appraisal report. They include the Subject’s direct competition and significant characteristics present or absent in the Subject when compared to its competing properties. The concept of segmentation will be introduced and stressed. These are demand characteristics. The goal is to quantify and forecast demand. The density chart template helps to organize the analysis. Step 4 seeks to quantify, evaluate and forecast supply. Areas that comprise supply will be addressed as well as the significant characteristics noted in the Subject and observed in properties it directly competes with for buyers and users. It will be stressed that the existing supply provides alternatives to the Subject and that both strengths and weaknesses should be addressed in the appraisal. A county’s planning department often publishes annual reports which are a good source of what has occurred and what is in the pipe line. Step 5 quantifies the relationship between supply and demand. It calculates residual demand. The term will be defined and discussed to a level where all attendees understand it. The goal is to evaluate both the existing situation between supply and demand as well as forecast anticipated changes. The density chart template helps to organize the analysis. While the future is unknown, those analysts undertaking multi-year discounted cash flows must anticipate the future and not solely project the past into the future. This responsibility will be discussed and stressed. While change is inevitable, the analyst must employ recognized techniques and methods that are peer tested and approved. This includes the six step process. There is a need to recognize when the market is not in balance or there is potential for imbalance in the near term or over the forecasted holding period. While equilibrium is the ideal, disequilibrium is more often encountered. How to deal with such periods will be discussed. Step 6 brings the process together. It concludes with how the Subject is perceived in its market and what is its expectation of market capture both currently and forecasted over a holding period. It will be stressed that the findings and conclusions developed in a sound market and/or marketability analysis support a highest and best use and this conclusion sets the stage for the three approaches to value and the appraisal’s reconciliation. 10 minutes Question & answer period. The Appraisal Institute advocates equal opportunity and nondiscrimination in the appraisal profession and conducts its activities in accordance with federal, state and local laws. Copyright © 2019 Appraisal Institute. All rights reserved.